UI components with click action events, typically buttons or menu items, have a VS Action property listed under ‘Action’ in the Property Editor. 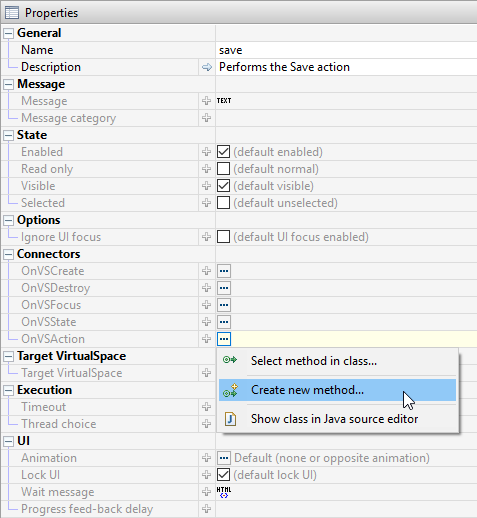 For common interactions between components and Java methods, create a vsAction in your VirtualSpace and connect the vsAction to your Java method. 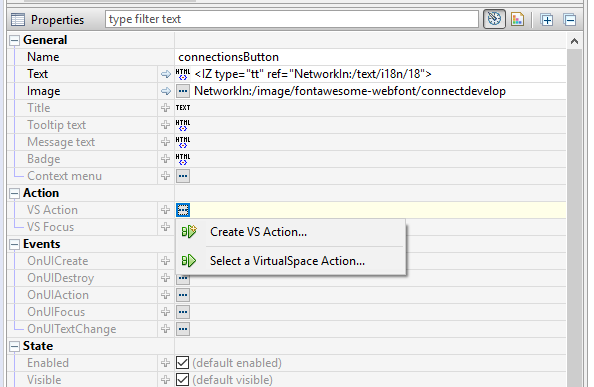 With the vsAction selected in the VirtualSpace Editor, search the Property Editor for the ‘Connectors’ section; here, in the value field of the OnVSAction property, click the more “…” menu and select a Java method or create a new method.